Enchanteur the no.1 brand in the mass market fragrances category in Malaysia has recently launched it's newest line of fragrance call Enchanteur Love featuring two lovely scents - Enchanteur Celebrate Love and Enchanteur Forever Love. 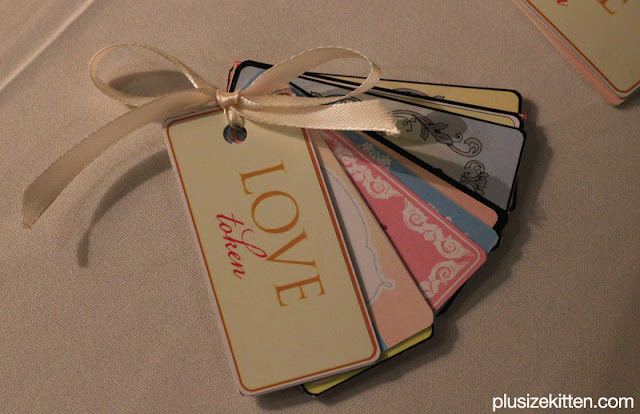 Inspired by the lovely French expression of “célébrant l’amour pour toujours” (means celebrating love forever). They manage to capture the essence of love, even after years of being together, to fall all over again in a bottle. Often, due to busy schedules, multiple roles playing and other distractions in life, less importance is placed to take time to express affection to loved ones which is essential in giving relationship the extra touch of romance it needs to make it interesting and enjoyable. Every expression of love, big or small, is significant in flourishing a committed relationship towards a love that is forever exciting and alive - Enchanteur. 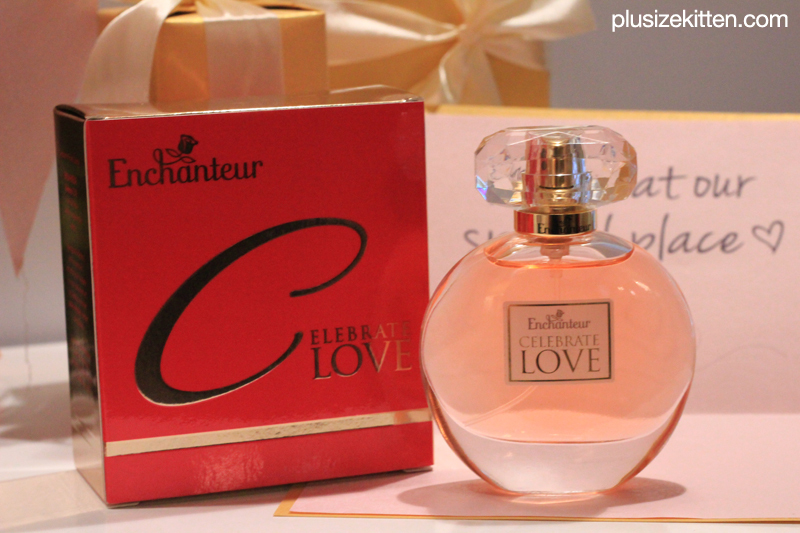 Created for women in a committed relationship, Enchanteur Love celebrates the joy of being together, keeping the sparks alive and the heart pounding faster. The fragrance bottle cap is designed to look like emerald cut jewel. This is inspired by sentiment "Diamond is forever" where we women would melt with glee when we receive a jewel, especially the diamond ring from the man we love. 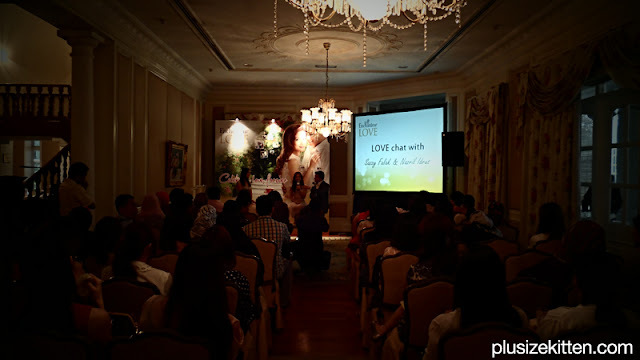 Invited to the launch at the beautiful and majestic Carcosa Seri Negara, I discover how Enchanteur re-create love just at the right places, at the right time with the right moments. 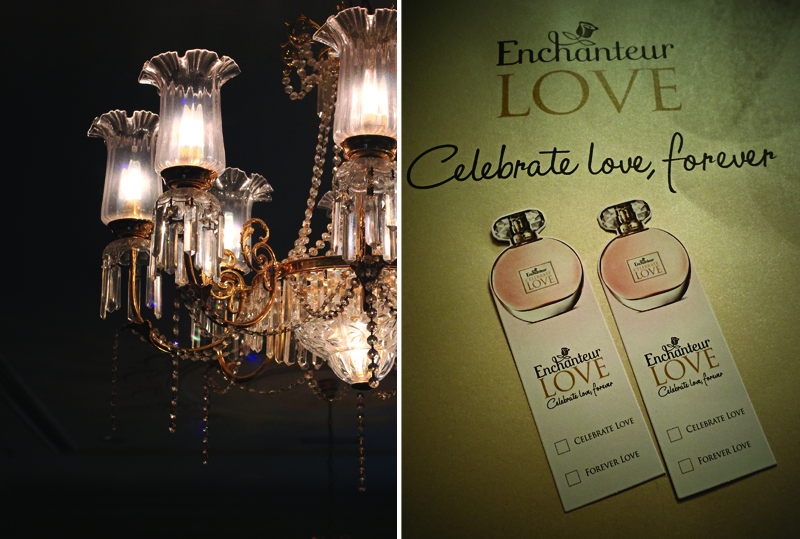 Here's to celebrating love, Enchanteur way. The couple grazed the romantic fragrance is non other that my college mate Sazzy Falak and her husband Nazril Idrus. Though she won't remember who I am, I definitely remember her thanks to my classmate. I'm very happy that she found her soulmate. They seem perfect together from afar and even more so live infront of me at the launch. Envious I am ^-,..,-^ (vampire face). 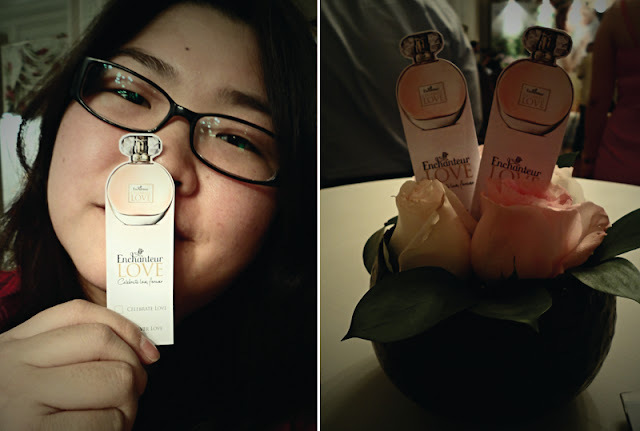 Now what's the difference between the two fragrance? 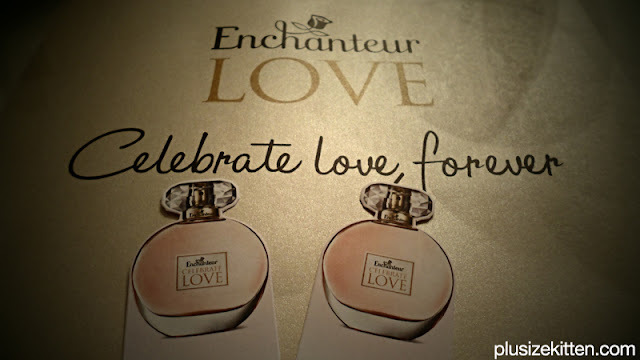 Enchanteur Celebrate Love & Forever Love? Well one is created to celebrate love (romantic moments) while the later signifies being forever together in love (proposal/marriage). 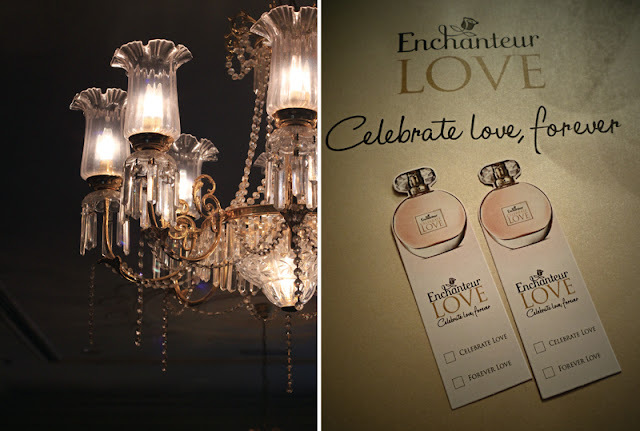 ENCHANTEUR CELEBRATE LOVE Eau de Toilette starts off with an explosion of sparkling freshness of bergamot, white peach and pineapple. The heart of the composition then sparkles with sweet red peony and passion fruit which symbolizes love and excitement of being together. Warm cedarwood, golden amber and musk wraps this lovely creation that together form a base as comfortable and warm as the embrace of a lover. 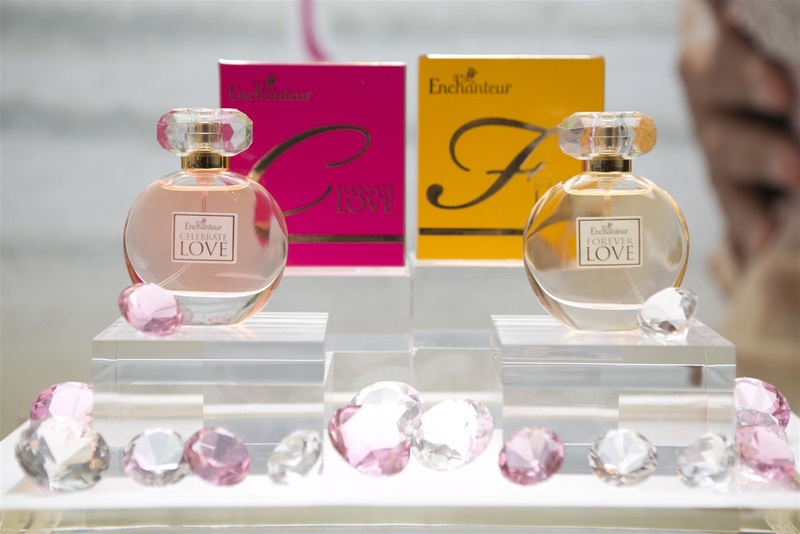 Both ENCHANTEUR CELEBRATE LOVE Eau de Toilette and ENCHANTEUR FOREVER LOVE Eau de Toilette retails at RM 31.90 per bottle of 50ml Eau de Toilette. ENCHANTEUR products are available at all major outlets, supermarkets, hypermarkets and pharmacies. 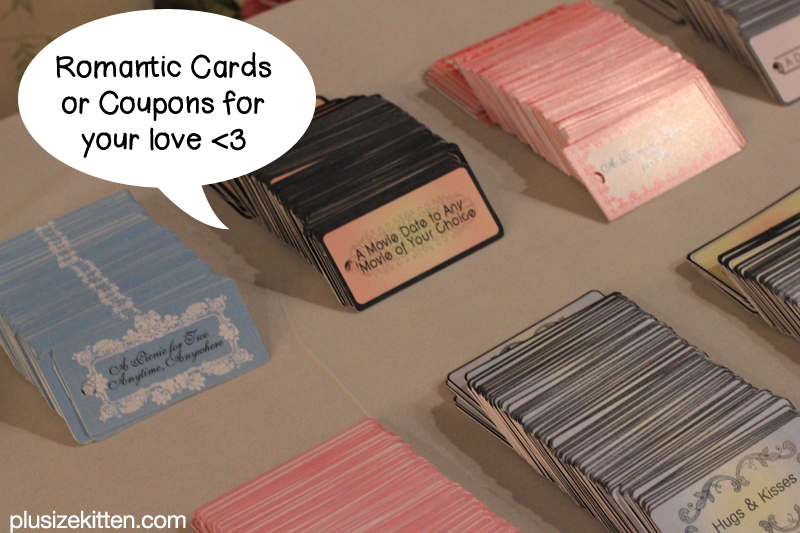 Visit http://www.enchanteur.com.my for more information. 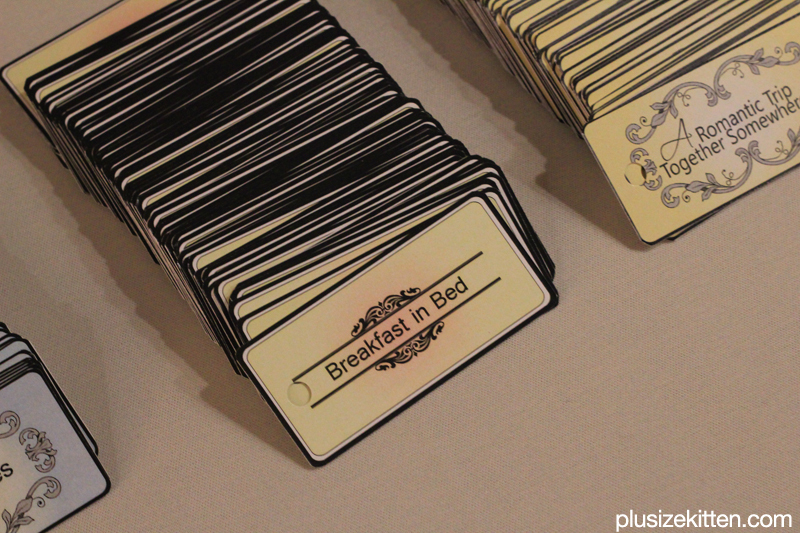 winners please check your email, I have sent you a form to collect your details! oh i love the bottle!! look so classy... <3 Innanie let me know if u like the scents once u try!